Mary Kom and Cricketer Virender Sehwag are among the sporting stars that promote a ‘unity’ marathon for the country’s largest paramilitary force CRPF. The paramilitary force, is celebrating 75 years of its raising this year, and will conduct a half-marathon called ‘Run for Unity’ in the national capital region which will be on October 12. Apart from the cricketer Sehwag and female champion boxer Mary Kom, about three lakh personnel force would be getting in touch with a host of sportspersons and celebrities to take the track with the trooper on ground. CRPF, The Central Reserve Police Force which was raised in 1939, is the lead combat unit for conducting anti-Naxal operations in the country. Dilip Trivedi, CRPF chief will announce the charter of the half-marathon on Tuesday. Mary Kom’s biopic is also all set to hit the theatres. Omung Kumar is making his directorial debut with a biopic on Indian woman boxer Mary Kom. The film ‘Mary Kom‘, which is set for a release on September 5, is a biopic on Olympic bronze medallist and five-time World Champion MC Mary Kom. “The film is the first of its kind being made in Bollywood… I did not think of the film as a risk. Biopics work because it is zero-to-hero story. The emotions run high.. It is a huge pull for anyone. It is not that I made this film after seeing ‘Bhaag Milkha Bhaag’. I had the idea much before it was made,” director Omung said.”I started this film three and half years back before any film on sports (biopic films) was made. We had started researching on Mary Kom. We had spoken to her three and half years back about this project. Then I approached Sanjay Leela Bhansali (producer) and Priyanka Chopra and things fell in place. It may be a trend now,” he added. The biopic of the female boxer MC Mary Kom has been doing the buzz lately. The Olympic bronze medalist has been an inspiration to the world of women power and dignity. She stunned everybody with her game, struggle and victory in the Olympic 2012. She is a five-time World Boxing champion, and the only woman boxer to have won a medal in each one of the six world championships. Her achievement also amazed director Omang Kumar and Bollywood’s diva Priyanka Chopra to make a biopic on the boxer’s life starring Piggie Chops in the lead role. The trailer of the biopic titled Mary Kom is finally out. It is directed by Omung Kumar, produced by Sanjay Leela Bhansali and starring Priyanka. The film Mary Kom is to have its world premiere at Toronto International Film Festival. Priyanka Chopra looks pretty convincing and impressive as a boxer. She doesn’t look Manipuri but has almost perfected the Manipuri accent which is really complimenting. Ajit Andhare, COO Viacom 18, seemed over whelmed with the response and quoting his happiness he said, “We’re thrilled with the astounding response to the poster and teaser which we had titled ‘Mary Kom Punch’ these have set us up very well for the trailer, which will be out later this week. We’ve titled the trailer ‘Mary Kom knock-out’”. The director also seemed very pleased and stated “After a long time there has been a frenzy of this sort surrounding the release of a poster. It felt good to hear all the fabulous comments. We had to live up to people’s expectations with the teaser also. I think we succeeded in doing so. Now we have the trailer coming up. I am very excited. It’s been a long wait for me. I can finally showcase my work to the world.” Well yes, the poster is really striking and bold. Priyanka looks astonishingly stormy, fierce and tempestuous. She remarkably resembles the boxer. The color of the poster, her expressions and not to forget Priyanka’s cuts and pumped up biceps…Totally Striking. The movie is scheduled to come out on 2nd October, 2014. Director Homi Adajania unveiled the first song titled “Fanny re” from his much awaited comedy “Finding Fanny” along with Arjun Kapoor and Deepika Padukone, who are the leads of the film. The song is somposed by Mathias Duplssy and it is choreographed the well known choreographer by Shiamak Davar, the song features all the characters of the film Arjun, Deepika, Naseeruddin Shah, Pankaj Kapur and Dimple Kapadia . “We had a great time shooting for the song. 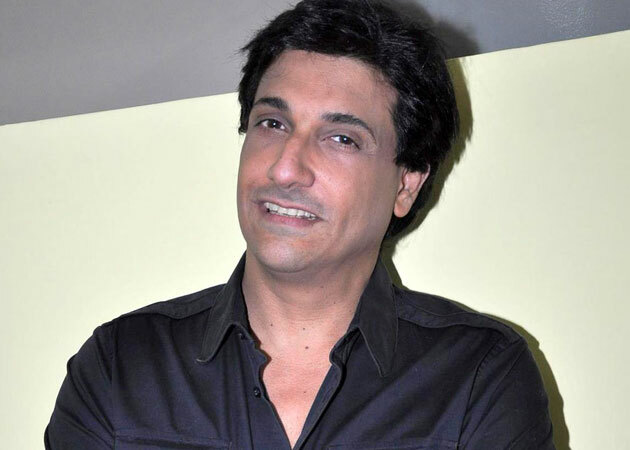 The song was choreographed by Shiamak and shot by Homi,” said Deepika Padukone. It’s a fun song encircling the flavors of Goa. It is a typical goan based song with fun beats and colorfully framed. Two years after the film that hit the box office Cocktail, director Homi Adajania is back with bang and a idiosyncratic misadventure; this time about a dappled crew looking for a postman’s lost love through Goa. The Hindi and English versions of Finding Fanny Movie will hit the theatres on September 12, across India and in various 40 international territories, which form the exodus markets targeted by most main stream Bollywood films. The film makers believe that Homi Adajania, the director has made a outstanding global film that will be accepted in any market. “The difference between the two versions is just three-four minutes and not a complete re-edit. This English version will be cut by Nick Moore to cater to that audience,” Director Homi Adajania said in a statement.”It’s the same story but will be told in a way that the firangs understand better,” he added. The English and Hindi versions of Finding Fanny will hit theatres Sep 12. The Movie Finding Fanny is presented by Fox Star Studios, and there also are plans to set the film out in a separate edited version of Finding Fanny in non-exodus markets – Europe, the US and the Far East – three to four months after its September release. Moore has directed impressive and outgoing films like Wild Child (2008) and Horrid Henry: The Movie (2011) but is better known as the editor of The Full Monty (1997) which bagged him a BAFTA nomination, Notting Hill (1999), About A Boy (2002) and Love Actually (2003). Finding Fanny is a forthcoming Hindi/English satirical, drama film, written and directed by Homi Adajania and produced by Dinesh Vijan under Maddock Films baner and presented by Fox Star Studios. The film Finding Fanny features Naseeruddin Shah, Dimple Kapadia, Pankaj Kapur, Deepika Padukone and Arjun Kapoor in prominent roles. The film is based on an adventurous road trip set in Goa and links and follows the journey of five characters. The film is scheduled for release on 12 September 2014. Finding Fanny revolves around the main five rather lost and dysfunctional characters that live in the whimsical sleepy village of Pocolim, dwelled deep in the interiors of Goa, India. Pocolim is a village where pointless and stupid conversations are a way of life feeding the life of the people. Nothing ever realistic happens here and the people of Pocolim, well, they just exist for the sake of it. One night, the old postman Ferdie , character played by Naseeruddin Shah, receives a letter that is slipped under his door. He then realizes that it was the letter he had written to the love of his life 46 years ago, Stefanie Fernandes character played by Anjali Patil, asking for her hand to marry her. To his utter shock and dismay, he discovers that had the letter had never been delivered. All these years the post man Ferdie has lived a life of regret, believing that his love Stefanie had rejected him. He then decides to find his beloved Fanny and tell her the truth. The movie Finding Fanny is a comical story and an off the wall story about a bunch of oddities who venture out to find this girl Stefanie Fernandes (Fanny) and in the process, they discover a unique and strange sense of love and solace amongst each other, and end up seeing a point back to their previously dull and pointless lives. Just a few days back, actress Priyanka Chopra visited the sets of Kaun Banega Crorepati to promote her upcoming film Mary Kom. And yesterday the multi talented actor-singer graced Kapil Sharma’s popular comedy show Comedy Nights with Kapil. The dusky diva was accompanied by her director Omung Kumar. The trailer of the biopic titled Mary Kom is finally out. It is directed by Omung Kumar, produced by Sanjay Leela Bhansali and starring Priyanka. The film Mary Kom is to have its world premiere at Toronto International Film Festival. Priyanka Chopra looks pretty convincing and impressive as a boxer. She doesn’t look Manipuri but has almost perfected the Manipuri accent which is really complimenting. The first teaser of this movie was released on Priyanka’s birthday on Friday and people are gone bananas over it. It scored storming reviews all in one day. Ajit Andhare, COO Viacom 18, seemed over whelmed with the response and quoting his happiness he said, “We’re thrilled with the astounding response to the poster and teaser which we had titled ‘Mary Kom Punch’ these have set us up very well for the trailer, which will be out later this week. We’ve titled the trailer ‘Mary Kom knock-out’”. The director also seemed very pleased and stated “After a long time there has been a frenzy of this sort surrounding the release of a poster. It felt good to hear all the fabulous comments. We had to live up to people’s expectations with the teaser also. I think we succeeded in doing so. Now we have the trailer coming up. I am very excited. It’s been a long wait for me. I can finally showcase my work to the world.” Well yes, the poster is really striking and bold. Priyanka looks astonishingly stormy, fierce and tempestuous. She remarkably resembles the boxer. The color of the poster, her expressions and not to forget Priyanka’s cuts and pumped up biceps…Totally Striking. Priyanka Chopra has been seen in versatile roles from an undercover cop to a mentally challenged girl, she has performed magnificently. Playing the character of Mary Kom Movie demanded an exhausting and rigorous training and Priyanka pulled that off with dedication. She was trained by Samir Jaura, who is also training Rani Mukerjee for Mardani and had trained Farhan Akhtar for Bhaag Milka Bhaag. The film casts Priyanka Chopra, Danny Denzongpa, and Zachary Coffin. Sanjay Leela Bhansali who is also inspired by Mary KOM said, “Mary Kom has made India proud. I was moved by her story. She is a mother of two, has been through so many struggles, has tremendous spirit and a sense of living and dignity and is now a World Champion. She has what it takes to make a great champion. An Indian woman boxer is rare. It will be an exciting film to produce and I am very happy to do it.” Boxer Mary Kom who is fond of the actress Priyanka Chopra has given her a few tips on the film, which did seemed to have helped the actress go through her journey and fit into the character of playing a boxer. Parineeti Chopra was spotted partying and enjoying the eve before Raksha Bandhan with her close pals. The group included her co-star Sidharth Malhotra, Ishaqzaade co-star Arjun Kapoor, Varun Dhawan and Alia Bhatt. They all were looking very hip and it seemed they were there to party the whole night. Parineeti tweeted, “Partayyyy!! @aliaa08 @arjunk26 @Varun_dvn @S1dharthM”. In the pic she uploaded along, it was evident that everyone was taking the case of Varun Dhawan. As Varun has grown up his facial hair for his upcoming filmBadlapur, they all trying to make him pose with only his moustache. Varun was also sport and he posed as the Air India logo boy, with a hat on top (added by Parineeti) and with no beard (covered with hand by Sidharth, Arjun and Alia). Parneeti is busy shooting for her upcoming movie Dawaat e Ishq. Dawaat-e-Ishq is an Indian Romantic comedy drama that also focuses on social issues like Dowry. The movie is directed and produced by Habib Faisal and Aditya Chopra respectively under the banner of Yash Raj Films. It features Aditya Roy Kapur and Parineeti Chopra in the lead roles. The movie is about the romantic of Gulrez “Gullu” Qadir (Parineeti Chopra) a Hyderabadi shoe-sales girl who has a disliking towards the feeling of love because of her bitter encounters with dowry-seeking men; and Tariq “Taru” Haidar (Aditya roy Kapoor) a Lucknawi cook who can charm anybody with the magical flavours of his biryani and kebabs. There is a clash portrait between the Hyderabad and Lucknow culture. A source says, “Yes the film has a message for the audience, but it does not preach. Keeping the entertainment quotient in mind, the crux of the story revolves around the issue of dowry.” The trailer features Parineeti in her all time favourite bubble avatar whereas Aditya looks very different from his previous movie Asshique2. He wears a tight fitting t-shirt and his lips are all red, after effects of chewing pan all the time and ofcourse the clash of the two families. The music of the movie has managed to gain very few fans. In summary, Daawat-e-Ishq is possibly the most disappointing soundtrack from the house of Yash Raj. The tracks suffer from a serious case of dullness, outdated-ness and mediocrity yet Kudos to the bold experimenting of two different forms of music-Qaawali and western. All the best to the Daawat-e-Ishq team and we hope the film fares well. The movie is due for release on 19th September. Intitially the movie was to be released in the first week of September but due to promotional reason the Yash Raj Banner has postponed the release. 1. Its entertainment: Its Enteraintment is an upcoming slapstick comedy film that promises more fun and laughter than ever with worthy messages. This movie conveys beautiful message about humanity and the difference between human nature towards greed and unconditional love of animals. We all are aware that dogs are known for their loyalty and unconditional love and many of our Bollywood celebs own and love their dogs. Akshay Kumar’s forthcoming entertainer titled Its Entertainment has a Golden Retriever dog, who is not just some pet in the film, but plays a parallel lead with the star Aksha Kumar, to such an extent that this film is named after his character. 2. Singham Returns: Now it’s time for the Singham Returns to be remade in Tamil and Telugu. The problem till date with our cinema has been easily transactional because most of Tollywood’s remakes have arrived way before Bollywood directors have brushed them. Indian masses have praised, appreciated and grooved on the brutal, honest and fierce super police officer Bhajirao Singham in Rohit Shetty’s film Singham in 2011. It’s now time for its sequel, you heard it right. Rohit Shetty and his favourite action hero Ajay Devgn are back with Singham Returns promising double the fun and entertainment. The film is already doing the rounds but to add the hotness quotient they have Kareena Kapoor as the lead lady. Bebo who is amazingly hot and gorgeous will be playing the lead along with Ajay Devgn in Singham Returns movie. The dashing duo launched the very trailer of this fun- action-loaded flick along with director Rohit Shetty on Friday July 11 at an event. Ajay Devgn is back in his glorious Khaki uniform and will be seen knocking some mean villain rears and also romancing his lady Kareena Kapoor. While Kareena Kapoor will be seen playing the character of a Maharashtrian girl and she has even learnt Marathi for this film. 3. Mardani: The film casts Rani as Shivani Shivaji Roy, an insightful and a foxy cop working at the Mumbai crime branch unit. Shivani sets the sail on an enslaving hunt for a girl and what leads to a cat and mouse trap between a ruthless mafia kingfish and a fearless cop. The character is apparently based on a real lady police officer who busted several child trafficking cases in the city. The movie drifts into the dark and desperate world of child trafficking and straggles between Mumbai and Delhi. The film also has some spine-chilling dialogues to add the tone of the scornful trafficking world. The movie is based on child trafficking, apparently, inspired from high-profile human trafficking cases. While the makers of Mardaani Movie are calling it to be a piece of fiction, but there is a stroke of reality in every scene. Rani Mukherjee carries the fierce-cop guise and attitude quite finely from chasing buses to running after criminals to wiping blood off her face, she does it all deftly. The plot of this movie is focused on Women empowerment, the story is written by Gopi Puthran, Directed by Pradeep Sarkar, and is under the Yash Raj Banner. Mardani looks like a typical Bollywood flick, full of banality. Mardani is scheduled to release on 22 August 2014. We can expect some new Bollywood Masala from this movie and belive that Mardani might beef up Rani’s career. The Aashiqui 2 actor Aditya Roy Kapoor who blew peoples mind with his charm and min blowing acting is now hogging the limelight. From Aashiqui 2 to Yeh Jawani Hai Deewani he has been just going on and on giving one hits after the other. This year he has been scheduled for many more releases. 1. Fitoor: Director: Abhishek Kapoor Producer: Siddharth Roy Kapur. This film casts Rekha, Katrina Kaif and Aditya roy kapoor in lead roles. It is scheduled to release in the year 2015. 2. 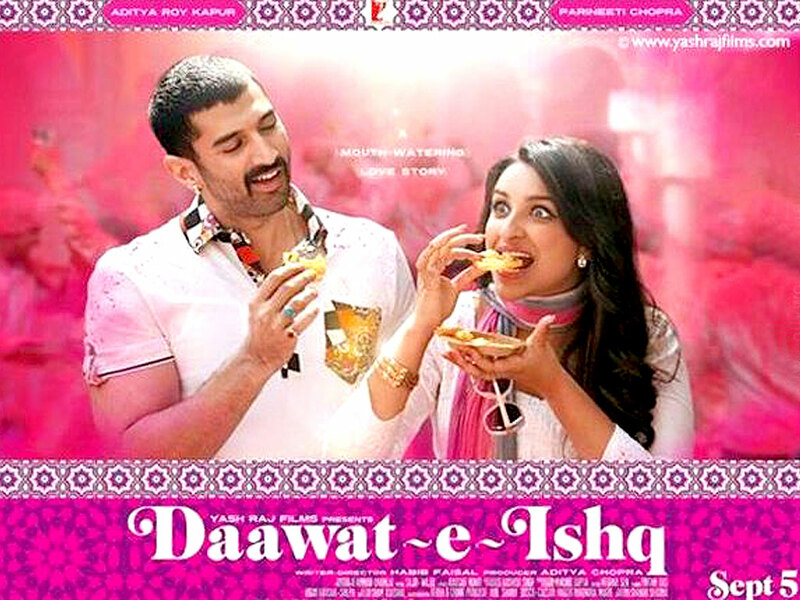 Daawat-e-Ishq: Daawat-e-Ishq not only introduces the brand new never seen dashing couple of Aditya Roy Kapoor and Parineeti Chopra but also heeds Sajid-Wajid composing their first ever Yash Raj venture. Its obvious music enthusiasts are snoopy to know what is in stock for them from this out of the ordinary merger. Daawat-e-Ishq’s songs have been penned by Kausar Munir while vocalists on the soundtrack include Javed Ali , Sonu Nigam, Shreya Ghoshal, Sunidhi Chauhan, Wajid and , Shalmali Kholgade. The title track is an energetic and catchy song which is a blend of qawaali and electronica sung by Javed Ali and Sunidhi Chauhan. The song is a well written conversation & the singers have validated it well. Kausar Munir’s expert grasp of Urdu is only outstripped by his impressive esculent aspersion. In all, it’s a energitic start to the soundtrack. In summary, Daawat-e-Ishq is possibly the most disappointing soundtrack from the house of Yash Raj. The tracks suffer from a serious case of dullness, outdated-ness and mediocrity yet Kudos to the bold experimenting of two different forms of music-Qaawali and western. All the best to the Daawat-e-Ishq team and we hope the film fares better. The trailer of this flick featuring Parineeti Chopra and Aditya Roy Kapur is out and it looks absolutely mouth watering, delicious and tempting. The trailer opens with an interesting take over the orthodox yet strongly prevailing dowry system of our country, where Gulrez’s played by Parineeti Chopra father essayed by Anupam Kher is in a serious conversation with the groom and his family who are demanding expensively from the father of the girl before going ahead with the proposal. Later Gulrez, who dwells in Hyderabad, mocks them as she is a self-independent and broad minded lady and would never compromise down before the orthodox and unscrupulous society. Aditya Roy will be seen playing ‘Lucknow ka aashiq Tariq’, a chef. Unsurprisingly and by chance the two meet and go to explore the lanes and the flavors of both the cities. Since, Tariq played by Adiya Roy Kapoor is an outstanding chef; he uses the delicious and mouth-watering local recipes of the city to impress and bind his love mate. But just a few moments later, the typical bollywood gimmick takes place and the lovely cute romance between the two sweet hearts is pushed on a halt when it’s known that something suspicious and witty is brewing in Parineeti’s mind. This movie has drama, betrayal and agony in the later part which will keep you glued to the screen. Directed and penned by Habib Faisal, who earlier delivered hits like Ishaqzaade and Do Dooni Chaar, Daawat-e-Ishq looks fun, interesting and fascinating. Priyanka Chopra will be seen in the forthcoming biopic ‘Mary Kom’.In this film she plays the role of a boxer Mary Kom, who worked hard to become a champion in boxing. Her look in this film has grabbed a lot of attention and has people talking. She needed the oriental look for playing this character in order to look authentic. Priyanka Chopra hence roped in international make-up artist Mak Garbarino for her look in this film. And from the posters and the trailer we can say that he has indeed done a commendable job with Priyanka’s make up. In the poster we see Priyanka in a never seen before avatar. She is seen in a very rough and toughened look in the poster and looks like she could knock any opponent down in a boxing ring. Such is the story of boxer Mary Kom who trained herself to be the best in the world of boxing and won laurels in the Olympics, thus making us proud several times. As nice as it sounds, her journey was not an easy one and she aced many troubles on her way to becoming a champion. Such is the story that will be depicted in this film. Priyanka took this role as a challenge and gave it her best shot. From the trailers, we can say that her performance was worth her efforts. Priyanka has always chosen challenging roles and it’s no surprise that she got this role. Her roles in ‘Barfi’ and ‘7 Khoon Maaf’ also garnered a lot of critic acclaim. We are sure that Priyanka’s performance will bag her several awards post the film’s release. Priyanka once sustained an injury on her face during a shot. The director chose to keep this scar and have it retouched by the makeup artist to look deeper. We will see this scar on screen during the film. Through this film and the story of Mary Kom Movie the filmmakers attempt to inspire a few. The field of boxing si generally associated with masculinity. This film goes against this stereo type and gives us a true story about how a woman succeeded in this male dominated sport. It is nice to see filmmakers focus on making bipoics like these as it can inspire upcoming sports stars to do better and excel in their field. Upcoming movie Mary Kom releases on the 5th of September. The real life champion boxer saw this film with her husband before its release and was very pleased with it. She broke into tears as a few scenes got her emotional. She then called Priyanka Chopra and congratulated her for pulling off the role so well. This tells us that this film is going to be a huge hit with the audiences and at the box office. The best part of this is that Bollywood is getting variety in its movies. Now along with the usual romantic comedies and entertainers we have a genre of film that gives us much more than that. The film Daawat-e-Ishq has garnered a lot of attention on account of its concept. This is a love story of two simple individuals who work as ordinary professionals. This is the story of how they meet and fall in love with each other without realizing. The poster and trailer of this film are quite interesting. Recently, the filmmakers released the title song of Daawat-e-Ishq. This is a melodious track which is pleasing to listen to. The lyrics in particular deserve a lot of appreciation. Kausar Munir has penned the lyrics to this track and has a big part in the success of this music launched by the filmmakers. The lyrics are very catchy and make the audience relate to the essence of this film. In this film, Parineeti plays the role of a girl from Hyderabad. Her character has very vibrant shades as she reflects the Hyderabadi culture well in her role. She also plays the role of a shoe sales girl which gives her character a new twist. Aditya Roy Kapur’s character on the other hand, belongs to a different culture. He plays the role of a Lucknowi chef. From the trailer we can see that his character cooks up some delicious Lucknowi recipes that everyone relishes. From this we understand that the story revolves around two simple individuals belonging to different cultures that fall in love. It will be interesting to watch this romantic tale of love with an element of different flavors to it. From the trailer we see that there is a flavor of sweetness as they first meet. They get to know each other better and get closer to each other. Then we see the flavor of spice as their love life gets interesting. Suddenly we see an unexpected turn in the trailer as we see the flavor of bitterness. We see that their characters face differences as things seem to go wrong. Daawat-e-Ishq is set to release on the 5th of September this year. It will be interesting to watch hoe this film fares at the box office and whether the audience connects with this story. Shah Rukh Khan wants to leave no stone unturned to promote his upcoming film “Happy New Year“.It has been pretty evident looking back at his previous track record that the king khan has massive and unique marketing stategies to promote the film. However, while the entire cast and other key members of the film – including Honey Singh who has rapped a song in the film – will join SRK for a world tour to perform live. But, surprisingly Vishal-Shekhar who composed the music for “Happy New Year” will not join the team. “It is strange that Vishal-Shekhar, the film’s music composers, are missing from the concert. Instead, Yo Yo Honey Singh will be performing at the shows,” a source quoted. It should be noted that Singh gave Khan some smashing hits like “Lungi Dance“, one of the biggest hits of 2013, which might be the reason why Khan is fond of the rapper and chose him over his long-time collaborators and friends Vishal-Shekhar for the world tour. It is a known fact that King Khan is one of the most popular Bollywood celebrity in U.S and other parts of the world. Taking benefit of his humongous reach, Srk has decided to start the promotions of the film with an overseas tour and the entire cast and crew will be a part of the tour. Shah Rukh and Deepika will be a part of the tour from start to end.If that’s not enough, we have also heard that Happy New Year will open on five thousand screens worldwide.The promotions will include a series long of concerts across various cities in the US and Canada in September. SRK and Singh will be accompanied by other stars of the movie, including Abhishek Bachchan, Deepika Padukone, Sonu Sood, Boman Irani, Malaika Arora Khan, director Farah Khan and singer Kanika Kapoor of “Baby Doll” magic..
“The concert organisers are looking at including popular tracks from SRK’s earlier films. This is perhaps why Honey Singh has found a place along with the Happy New Year team,” the source added. Another suspected reason is that Singh and Vishal-Shekar do not share a good equation. Vishal, in fact, once had a verbal spat with Singh on found on Twitter. The composer duo seemed to be apparently disappointed when SRK roped in Singh for the “Lungi Dance” song in “Chennai Express”. In a bit to express their disappointment, the composers even skipped an episode of television show “Indian Idol”, where Vishal and Shekher were judges, when Khan came to promote “Chennai Express“. The team will visit various cities of U.S and UK for a tour which is scheduled to be a 12 day long tour starting from 19th September 2014. 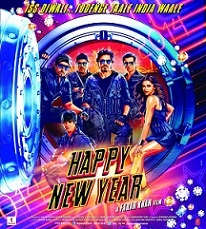 The theatrical trailer of Happy New Year is all set to be unveiled on 15th August 2014 and will be attached to the prints of Singham Returns. Insiders who have seen the raw cut footage say that the movie has been shot on a very large scale and it will be a treat for Shah Rukh Khan Fans. Bollywood sweethearts Ranbir Kapoor and Katrina Kaif tried their best to keep their trip to Spain a hush-hush affair, but thanks to an overzealous fan who posted pictures, they were caught! The picture shows them having a gala time together in Spian. However, the photos drew huge criticism from Katrina as well as other Bollywood celebrities, who said that the press invaded into Ranbir and Katrina’s personal life Whole lot of statemnets, opinions , judgements were passed thereafter over this one incident. After the top stras of the B-Town : Deepika Padukone, Kareena Kapoor, Salman Khan, Ranbir Kapoor, and Katrina Kaif herself, it was now Sonam Kapoor’s turn to react over the famous Ranbir-Katrina kaif bikini pictures. Well, the chatty Sonam then drifted herself to other topics. But that was the most ‘advocately’ remark made on the incident so far. And as its is the ritual of B town to drag on to a controversy or be it make a mole out of mountain. It would be very interesting to see what will the the comments, views, reviws about the icionic speech given by the fashionista Sonam Kapoor. This couple has also been through the troubled bikini moment, when pictures of the two holidaying on a beach became the talk of the town. Ranbir and Katrina have stayed away from answering any questions about their relationship, even when Katrina Kaif has been reportedly meeting Neetu Singh and Ranbir’s grandmother – Krishna Raj Kapoor. Presently Ranbir Kapoor seems to be in a settled zone with the actor reportedly dating Katrina Kaif. While shooting in South Africa for their film Jagga Jasoos, this cupid couple of Bollywood was reportedly spotted shopping and enjoying each other’s company.